Kids nowadays are more than what we think. We can never expect how they think or react. 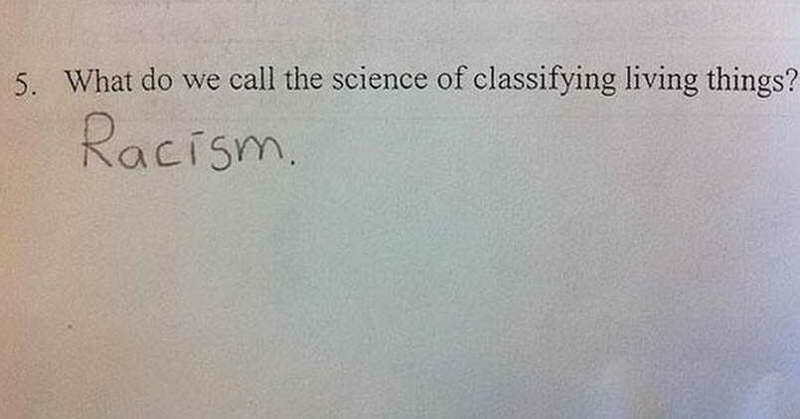 Here are some moments where they answered hilariously on their answer papers. Even though the answers are not what we expected, but it makes us feel like we can respond to that way too. 7 what ended in 1996 ? 26 At the bottom, yeah. 27 He is a big nerd..
28 you should not hit the dogs..
29 What would you say to Abraham Lincoln ? Every Men Must Know These Rare Secrets About Women.